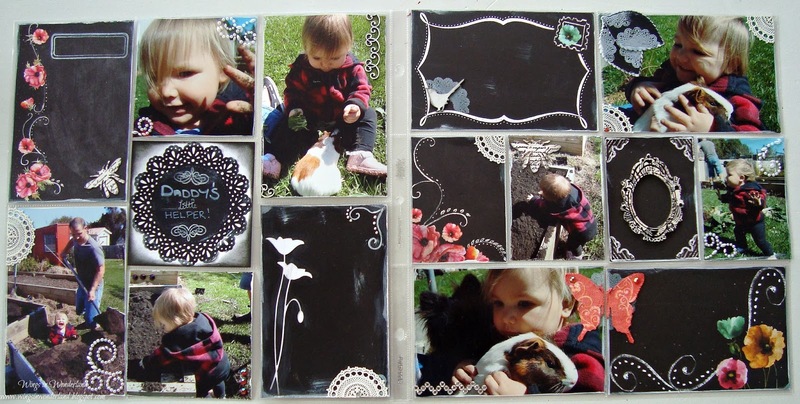 Kristy here with some more pocket scrapbooking inspiration for you. 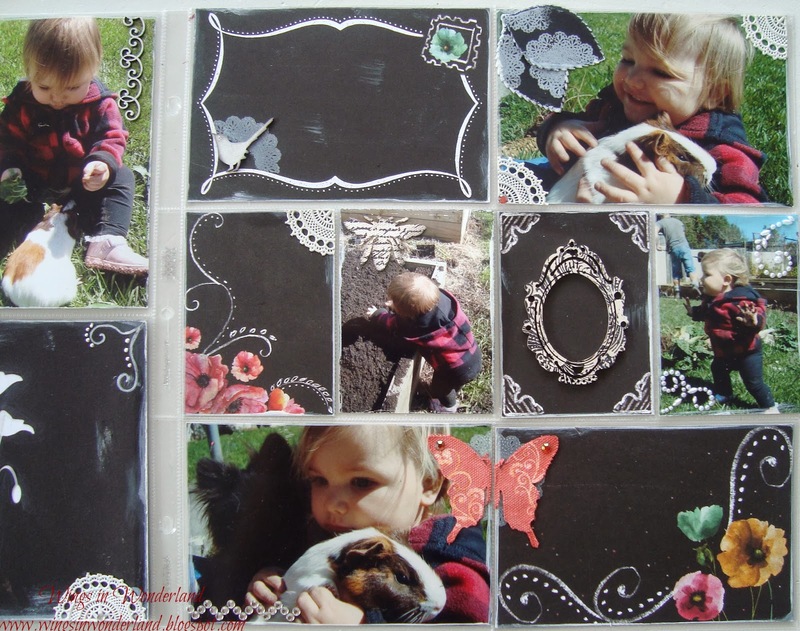 This week im playing with the Prima optimist range and some photos of my little one from last year that I have been waiting to scrap. Im loving how most ranges are coming out with papers that seem almost designed for these types of projects and these papers especially fit this theme perfectly, Yipeeee!!! 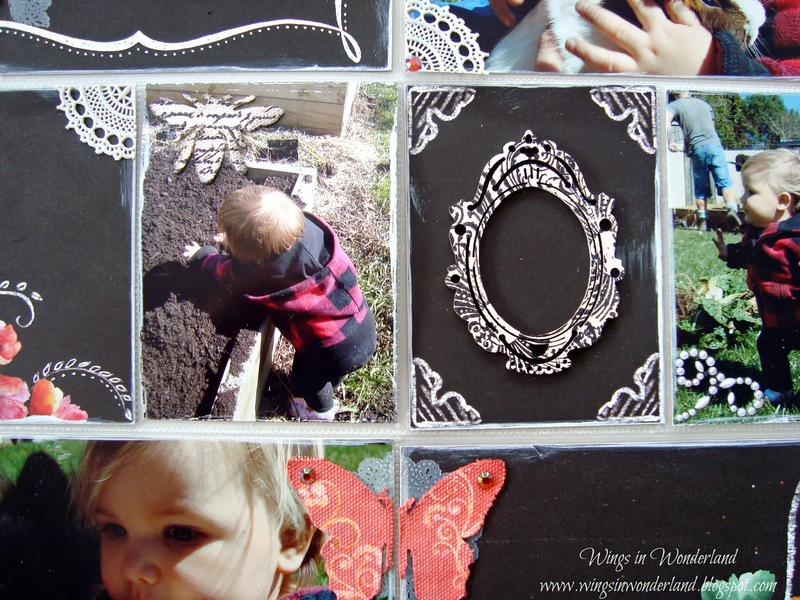 For the below piece, I cut a doily using a Couture Creations die and using a mix of White Stazon ink and the Zig chalk writer pen added a tittle for my page. Then I adhered this to a white piece of cardstock edged with Black Soot Distress Ink. 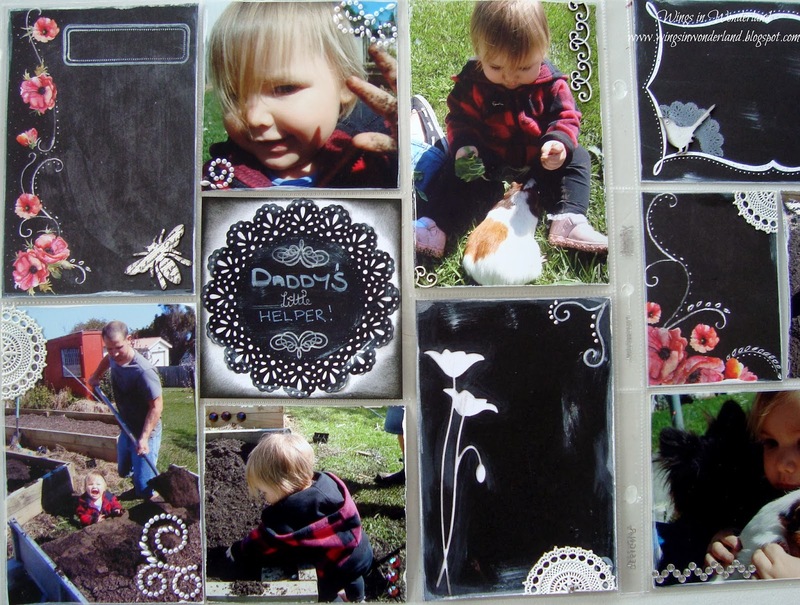 The bottom right card is also one I put together myself, I used a memory box die to cut the poppy silhouette out of black cardstock and then added gesso and distress stain to give it a chalkboard look to match the paper line, and some doodling with the Zig pen. 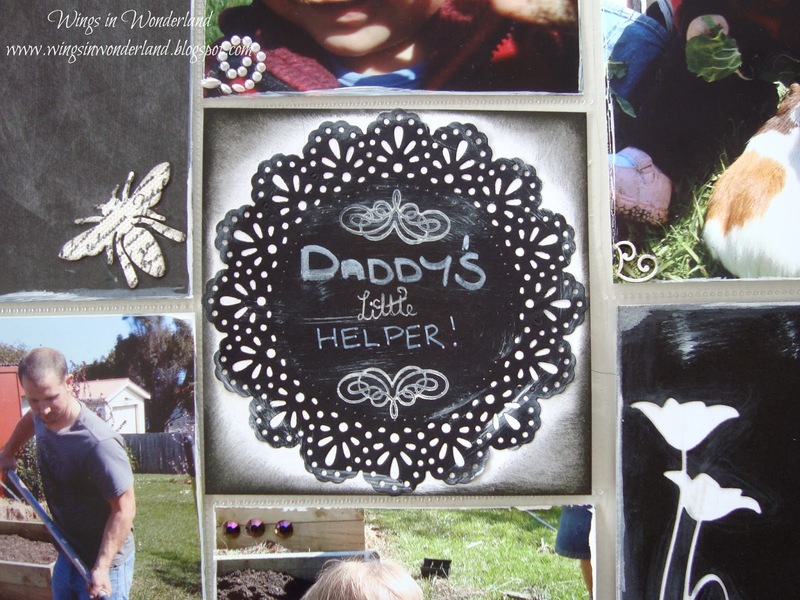 Here is a close up of some of the embellishments I have used, the Bee and Butterfly are Prima Canvas pieces which I have stamped and sprayed, and the wooden frame is from Kaisercraft and this is just gesso'd and then stamped with Black stazon ink. And that's it, very quick and super easy. Check out the links below for the products that I used on these pages.